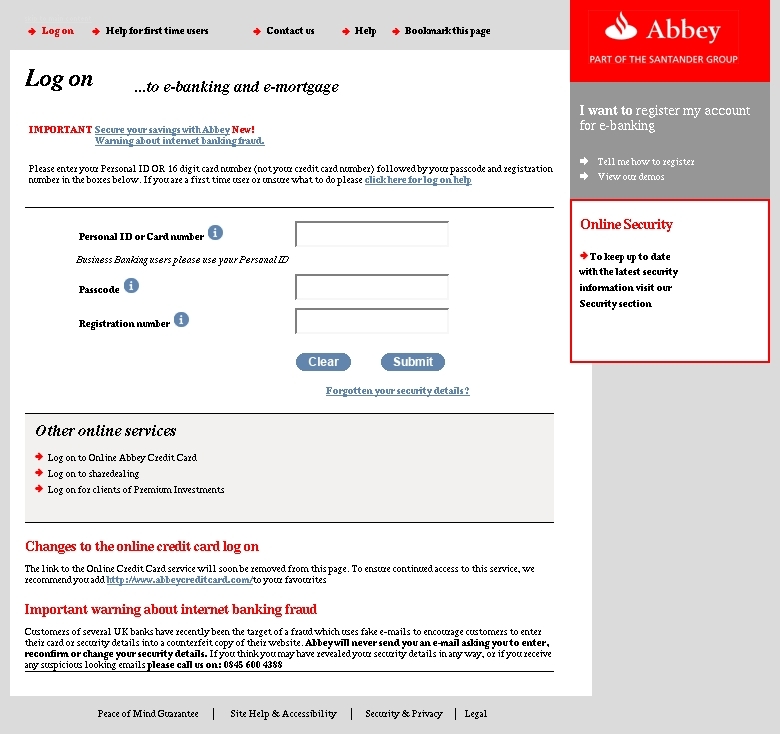 Abbey Internet Banking Security - Quick Alert! Group, one of the world's largest banks. 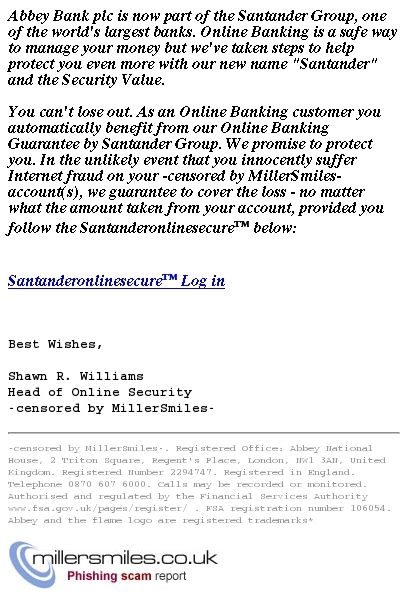 SANTANDER GROUP. We promise to protect you.